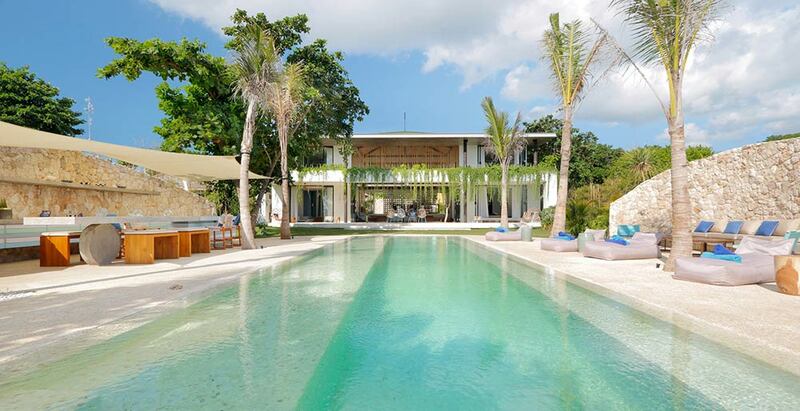 Villa Seascape is a stunning five-bedroom luxury villa on Nusa Lembongan, 30 minutes by boat from mainland Bali. The contemporary villa, completed in 2018, has a stellar absolute beachfront location, with direct access onto a sandy cove and spectacular sea views from nearly every room. It offers multiple living spaces, a media room that can be set up as a fifth bedroom, glamorous bedrooms, and a fabulous 15-metre pool with entertainment area. Fully staffed, including a private chef, the villa is perfect for families and groups of friends seeking a stylish away-from-it-all beach vacation in beautiful surroundings.